So it has become a little tradition that as the year draws to a close I take a moment to look back on the salient dancing events contained therein for myself. This year, rather than picking out all of the hallmark projects I have been a part of, some of the moments that I would like to remember most have been quieter affairs. Looking at the broader picture, I'd say it's been a year of two halves - the first half very much steered by the Rambert at 90 projects I was delivering - travelling the country with a suitcase of Rambert artefacts from the archive and an infographics project with schools/ colleges each taking a day to delve into a decade of Rambert's history. This project sparked many moments of joy but, most of all, the research it required reignited my passion for learning and reading. It was fascinating to glean new titbits of information from out-of-print books and articles which have evaded documentation on the internet. A handy hint for anyone researching Rambert's history online now is to check out Rambert Voices, another Rambert at 90 project documenting the recollections of those who lived it! Whilst in Cornwall for Rambert, I had probably one of my most catalytic conversations of the year with Deborah Galloway, on the subject of aspirations. While there were more questions than answers, it was a moment of realising that what I needed most was to give myself the time and space to take steps towards knowing where my future career ambitions lie. So the second half of the year has very much been focussed on re-learning about myself - which in today's society seems to be a luxury as there is so much pressure to be busy at all times! 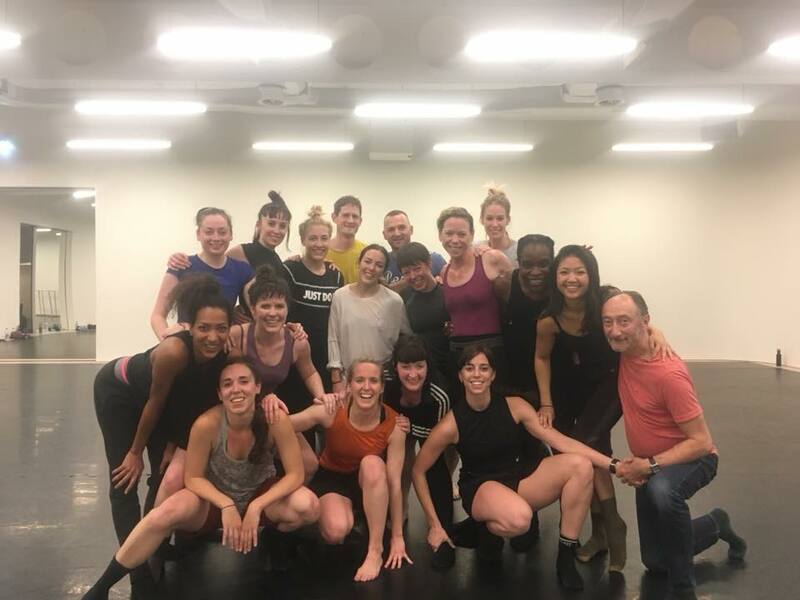 With this mission in mind, I attended some of Kerry Nicholls' masterclasses and was later invited to be part of the 2017 Performance Mentoring Programme. The programme kickstarted with a 3 week studio intensive and continues until January with mentoring sessions. I still feel that I am very much in the midst of this process but it has already reenergised me, given me a new network of supportive peers and professionals, broadened my thinking and observational skills, and increased my sense of drive in dancing pursuits. It has also been such a breath of fresh air to practise being a student again - working on skills for your own portfolio but also a reminder of what being the student feels like as opposed to being the teacher shaping the space - I have definitely felt more of a sense of empathy in helping to problem solve for students in my workshops since. In summary, my year has had the desire to learn is at its heart - and it is that sense of ongoing learning which is currently exciting me and motivating me as I move forwards. Here's hoping there's a whole host of studios out there ready for me to keep learning as a student, as a teacher, as a performer, as a choreographer and as a person in 2018. Unexpected guest during rehearsal @shuttleworth_oldwarden whilst in rehearsals for #greensands festival. #dancingoutside #howmanypeoplesaidcanijoinin #motusdance @christofjb @daisy_winstanley Come and see all the events in May! DON’T MISS THIS @miltonkeynesdancecentre @mktheatre @aakashodedracompany @thevenuemk @southeastdance 13 May VenueMK 7:30pm #contemporarydance #motusdance #miltonkeynes #sedance #motusdance #sedance #inspiring #greattheatre #culture #culturemk #culturevulture TICKETS ON SALE!!! We’re HUGELY excited for this!! Date for your diaries people! #dancepractice #communityactionmk #miltonkeynes #artsgatewaymk #oudance #mkcommunityfoundation #dancer #bedfordshiredance #bedfordshiredancers #bringinglondonandtheworldtomiltonkeynes TICKETS ON SALE SOON! !